The start list of the Mike Bell Trophy multi-club event as part of the Netier National Capital Rally has been released with a strong field of Tech Workz ACT Regional Rally Series competitors. While overall numbers are down from 2017, the field contains the top six competitors in the Gold Cup class and eight of the current top 10. They are headed by Stuart Collison who sits fourth in the championship and will be looking to improve on his third place finish last year. Trevor Stilling leads the classic entries with his Nissan Stanza and Gold Cup Champion in 2017 Bethany Cullen will be looking to catch Mick Harding and Andrew Penney in her Mitsubishi Evo 6.5. Current Silver Cup and Clubman points’ leader Fro (Stephen) Horobin will be hoping to extend his lead in his ever popular Datsun 180B. The Mike Bell Trophy runs in conjunction with the Netier National Capital Rally, starting on Saturday morning and concluding at lunchtime on Sunday with a podium presentation at the Pialligo Estate Service Park. 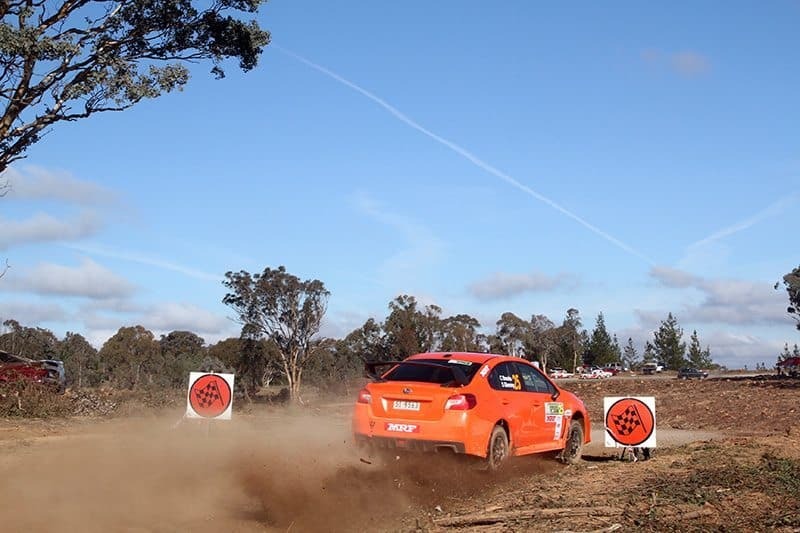 Competitors will cover over 180 competitive kilometres on some of the best rally roads Canberra has to offer. The overall winner will receive the Mike Bell Trophy and ACT Rally Series awards will also be presented for Gold Cup, Silver Cup, Clubman and Novice classes. “Including club level competitors is an important part of this event and introducing the Mike Bell Trophy is testament to that. Many of us wouldn’t be involved in rally if it wasn’t for Mike and we are proud that we are able to honour him in this way,” explained Event Manager Michael Wallace.